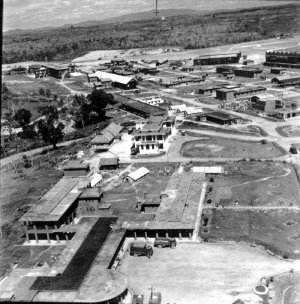 Sembawang (103.81E 1.42N) was an important airbase on northern Singapore Island. However, the airfield was within easy artillery range from mainland Malaya, lacked maintenance facilities and crew, and antiaircraft defenses were limited to a handful of 40mm Bofors antiaircraft guns. When war broke out, the airfield based 453 Squadron with 18 F2A3 Buffalo and 8 Squadron with 4 Hudson II.